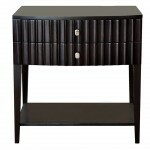 This classic-contemporary piece fits well with different design styles ranging from traditional to contemporary. 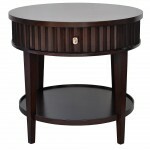 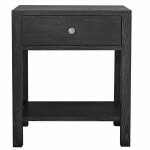 Subtle reeded detail surrounds the table top. 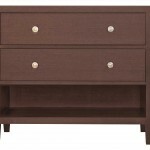 A spacious drawer is fitted with luxury soft-closing glides, and the bottom shelf offers generous display space. 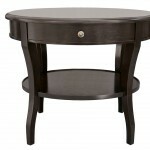 This items pairs well with its round counterpart of the same name. 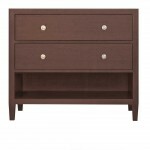 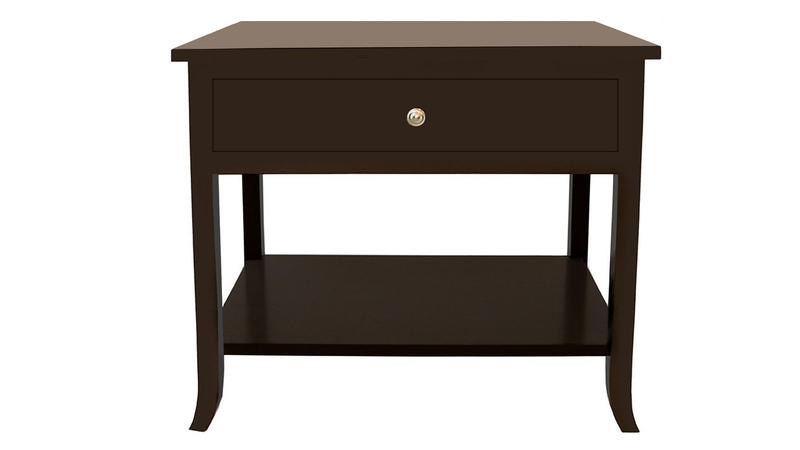 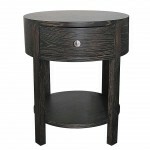 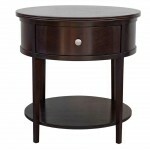 Shown in a dark brown wood finish, but also available in an array of standard and custom finishes. 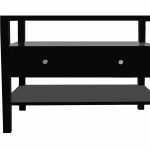 Part of the Plush Home furniture line designed by Nina Petronzio, this future heirloom is individually hand-crafted in Los Angeles. .
W 32" D 19" H 28"